Somerset greets me with a very stiff breezy mist with the threat of rain. Due to the mist I decided to stick to the roads today, so I apologise to the purists who may think I should have stuck to the paths no matter what the weather was like. Even on the roads it was hard to walk in a straight line, I must have looked like a drunken sailor walking down the road. 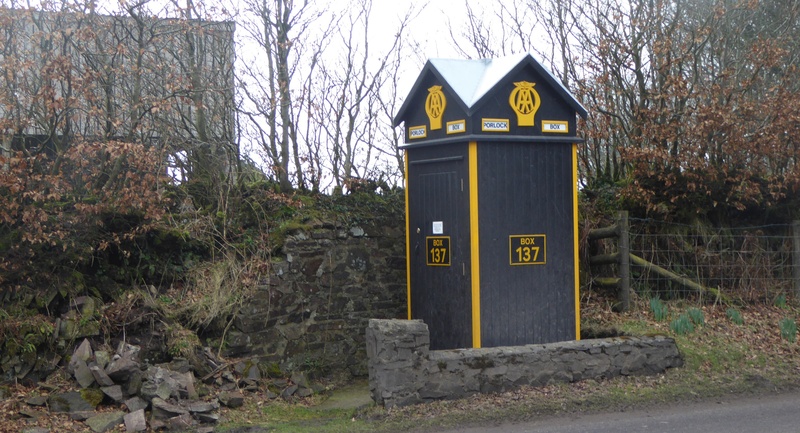 I liked this picture of an AA box at the top of Porlock Hill. They must have been quite a common sight on our roads once upon a time. These days with cars being more reliable and most people having mobile phones, there does not seem to be a need for them. I took the toll road down from Porlock Hill which offered a bit of respite and shelter from the wind. 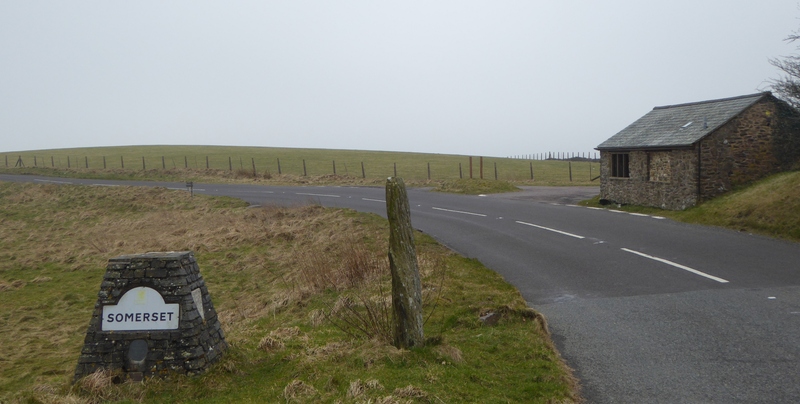 From what I could see, it would have been quite a scenic and gentler descent down Porlock Hill. The toll both, half way down, was just a shed opposite a house. Nobody was in it, just an honesty box on the shed door. I diverted off the toll road to Porlock Weir which used to be a working harbour, but is now used by the local yachtsmen. From here, I finished today with a walk into Porlock village, with its narrow main street and little shops. This entry was posted in England, Somerset and tagged Coastal Walking, Walking. Bookmark the permalink.